Here is what Press Association’s film critic Damon Smith thought of the latest blockbuster ahead of its release on November 16. As well as Redmayne, Law and Depp, the film stars Katherine Waterston, Ezra Miller, Zoe Kravitz, Alison Sudol, Dan Fogler, Callum Turner, Claudia Kim, Derek Riddell, Carmen Ejogo and Fiona Glascott. Family trees bear poisonous fruit and their roots run deeper than any ardent fan of the wizard world of JK Rowling might have dared to dream in Fantastic Beasts: The Crimes Of Grindelwald. Written for the screen by the best-selling author, director David Yates’s frequently thrilling sequel continues to expand and enrich mythologies beyond the wonder years of Harry Potter and his Hogwarts alumni. Not by accident, the impassioned pureblood rhetoric spouted by dark wizard Gellert Grindelwald (Depp) dances to the same divisive drums as President Trump’s controversial nationalism. “Regret is my constant companion. Do not let it be yours,” he whispers to one acolyte as he galvanises an angry uprising against non-magical folk, who are worth less because they are different. Depp dials down the pantomime villainy, opting for slow-burning insidiousness that unsettles rather than flatly chills. The aching depth of a childhood bond with Albus Dumbledore (Law) is implicit in lustrous flashbacks. “We were closer than brothers,” sadly recalls the future headmaster of Hogwarts, who has never recovered from the lingering poison of desire. In an exhilarating opening set-piece, which allows Yates to flex his muscles, Grindelwald stages a breathless escape from the custody of the Magical Congress of the United States of America (MACUSA) led by President Seraphina Picquery (Ejogo). The dark wizard sets in motion his convoluted scheme, which focuses on emotionally disturbed outcast Credence Barebone (Miller), who is a prisoner of Circus Arcanus along with his shape-shifting companion, Nagini (Kim). 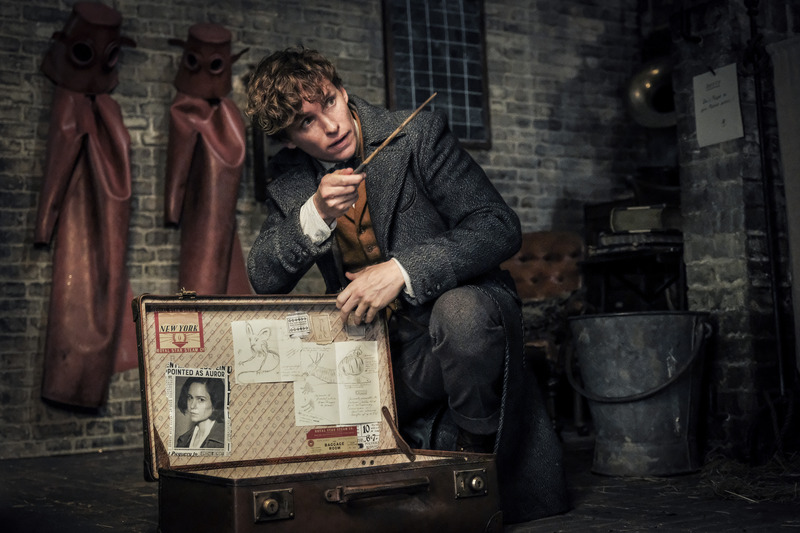 In London, Torquil Travers (Riddell), Head of Magical Law Enforcement, implores magizoologist Newt Scamander (Redmayne) to join the fight against Grindelwald and serve the Ministry of Magic alongside his older brother, Theseus (Turner). “The time is coming when we all have to pick a side,” Theseus warns his sibling. “I don’t do sides,” naively counters Newt. Instead, the magizoologist secretly answers a call from Dumbledore, professor of Defence Against The Dark Arts at Hogwarts, who refuses to publicly oppose Grindelwald. 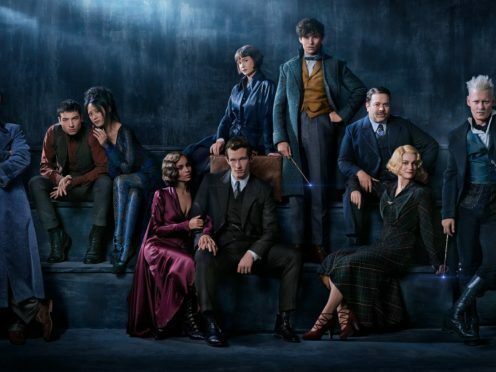 Newt’s covert mission exposes a tangled web, which ensnares MACUSA agent Tina Goldstein (Waterston), her mind-reading sister Queenie (Sudol) and non-magical beau Jacob (Fogler), and Newt’s former sweetheart Leta Lestrange (Kravitz). Fantastic Beasts: The Crimes Of Grindelwald builds robustly and stylishly on the first film to test the frayed resolves of flawed characters, some of whom have already lost so much. As she proved in the two-part stage production Harry Potter And The Cursed Child, Rowling knows how to satisfy fans without shamelessly pandering to them. The script skilfully acknowledges her magical canon – scenes at Hogwarts briefly reveal a young and flinty Minerva McGonagall (Glascott) – as she drops narrative bombshells with laser-targeted precision to satisfying, loud gasps. Redmayne endears us even more to his socially awkward loner as he brandishes a wand in the name of creatures great and monstrous. Production design and costumes are a heaving banquet for the eyes, garnished throughout with special effects conjured by an unseen army of digital wizards. Yates’s prelude to all-out-war is spellbinding.